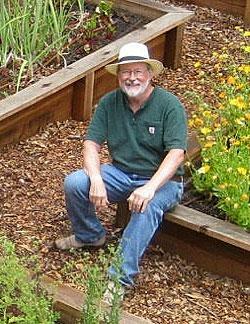 A Sacramento County-based Master Gardener since 1982, Fred Hoffman has compiled over 10,000 volunteer hours, and he is a University of California Cooperative Extension Lifetime Master Gardener. Fred is the long time host of the "KFBK Garden Show", Sundays 8 to 10 AM on News/Talk 1530 KFBK, and, since 1992, the producer and host of "Get Growing", heard each Sunday morning from 10 AM to 1 PM on Talk 650 KSTE, both in Sacramento. Both shows are available via the IHeart Radio App as well as podcasts of the programs. 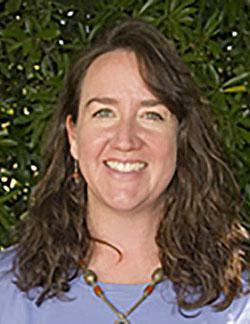 Karey Windbiel-Rojas is the Urban IPM Educator with the University of California Statewide Integrated Pest Management Program. She holds a Masters degree in Integrated Pest Management from UC Davis where her research focused on entomology and biological control. Karey is involved in outreach activities with UCCE Master Gardener programs, retail nurseries and garden centers, public agencies, and other urban audiences throughout California. Her primary focus is on educating the public about integrated pest management, responsible use of pesticides, water quality, and UC resources. A Sacramento County-based Master Gardener since 2011, Quentyn Young is a University of California Cooperative Extension Lifetime Master Gardener. 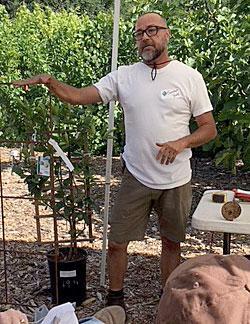 At the Fair Oaks Horticulture Center (FOHC) he is a project co-leader of the Orchard group and led the group in the planting of tropical fruiting plants such as papaya, dwarf avocado, guavas and atemoya (cherimoya cross). Another recent project led by Quentyn is the displaying of several types of Orchard Mason Bee nesting boxes and tubes, and giving mini-talks on their construction and impact on pollination. Quentyn’s desire to educate others reaches far beyond the FOHC Orchard fence. He is a Returned Peace Corps Volunteer, and as the manager of the Fair Oaks Boulevard Nursery, he uses his extensive knowledge on vegetables, ornamental shrubs and trees, pest management, soils, etc. to educate the public every day he works at the nursery. Also find the Nursery on Facebook.